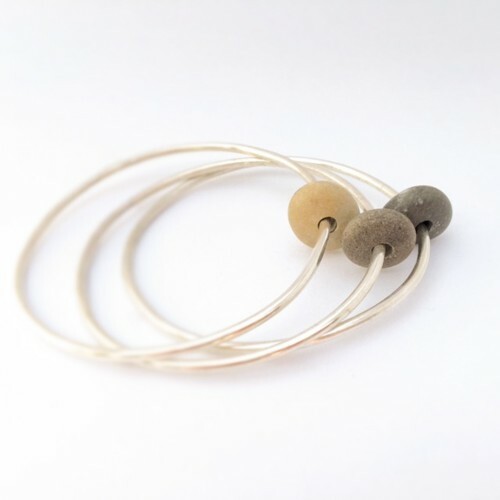 These contemporary bangles are a new favourite! 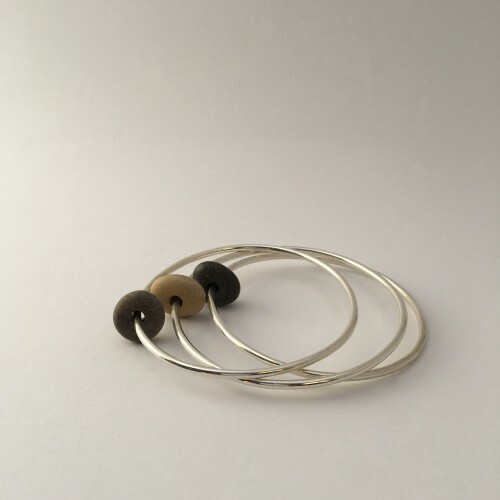 The sterling silver wire measures 2.5mm thick and the bangle has an approximate diameter of 6.5cm, which fits is a medium size hand and wrist. 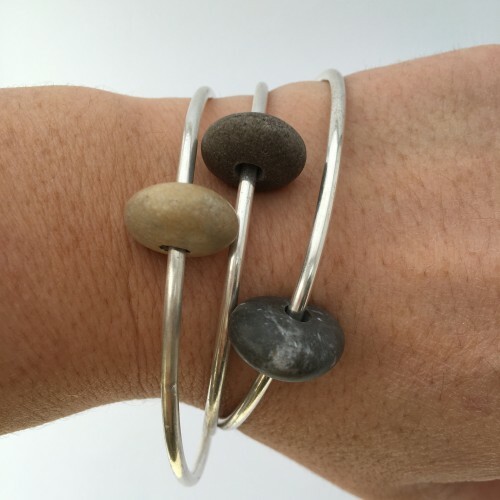 The pebbles come in different colour, texture and size variations, i.e. creams, greys, reds, browns and blacks, smooth or rough. 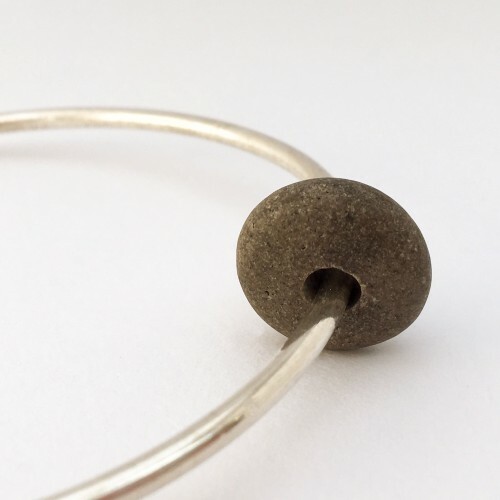 Pebbles measure between 1.5-2.5cm and are round or oval shaped. 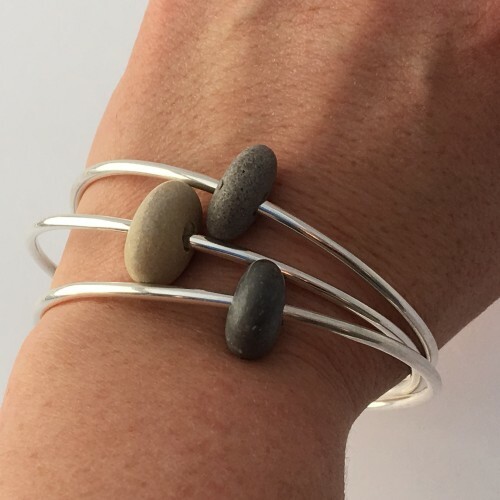 They can be worn on its own or in combination with 1-2 other pebble bangles with varying colours. Can be custom made to smaller or larger size. Colour preferences can be considered depending on availability. Please contact us to discuss your preferences.